London’s Gatwick Airport to trial Stanley Robotics’ valet parking robots. Credit: Stanley Robotics. Gatwick Airport, London, UK, has signed a framework contract with Stanley Robotics to test robots that valet park passengers’ cars. It will be the first UK airport to trial valet parking robots. The trial will start in the second half of 2019 and continue into early next year. The robot, known as Stan, will gently lift up the cars and store them in a secure car parking space once passengers leave their car in a spacious ‘parking station’ close to the South Terminal entrance. Passengers do not have to hand over their car keys to the robot. The parking system will be connected to real-time flight information, which will enable the robot to return the vehicle to the parking station. Following this, an SMS is sent to the car-owner, informing them that the vehicle is ready and waiting for their arrival. Gatwick Airport chief commercial officer Guy Stephenson said: “The valet parking robots could revolutionise parking at Gatwick and may also become common-place at airports and other businesses across the world. “The new service will be a convenient, personalised experience that will save passengers time, while also reducing vehicle emissions. 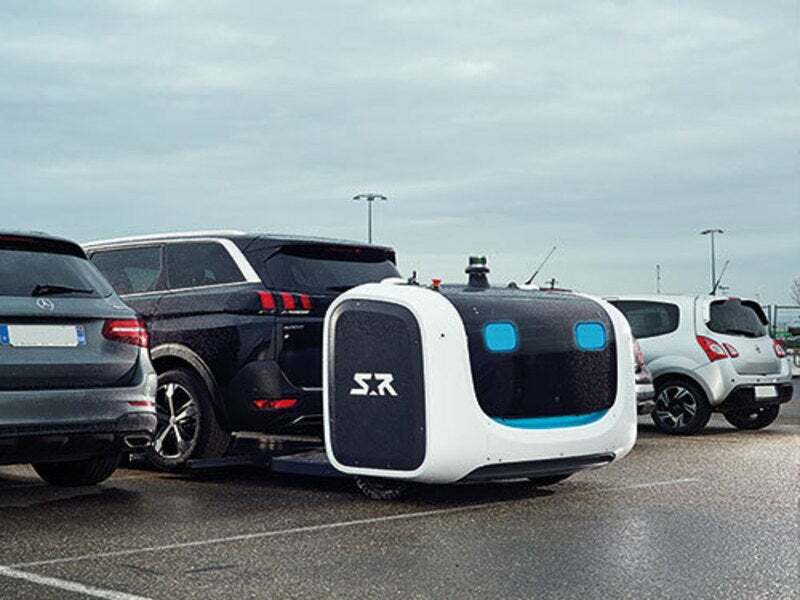 Recently, Stanley Robotics partnered with Aéroports de Lyon / VINCI Airports to launch valet parking robots at P5+ car park at France’s Lyon–Saint-Exupéry Airport. The valet parking robot helps to cut CO₂ emissions as it eliminates passenger vehicle traffic in the car park, while the robot itself operates on an electric engine.